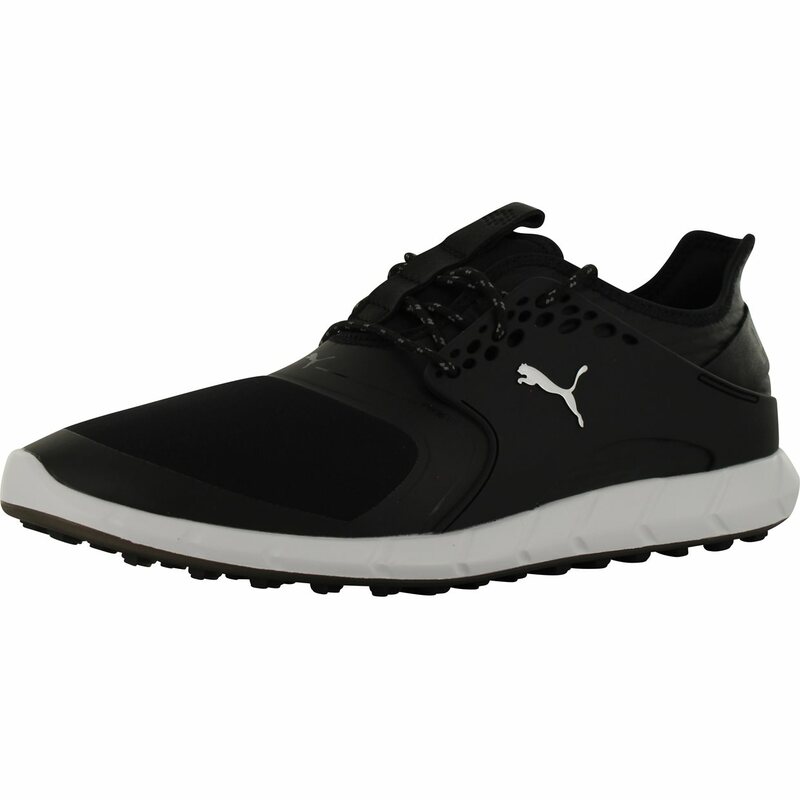 The Puma Ignite PWRSport spikeless golf shoe features a performance mesh upper combined with TPU that is breathable and waterproof. The upper also features PWRFrame, an ultra-thin frame strategically placed in high stress areas for lightweight support and increased stability. The golf shoe offers comfort with a molded comfort insole; PWRCage for support and stability; and an IgniteFoam midsole that provides energy return, responsive comfort, stable cushioning and superior strap-in-comfort. 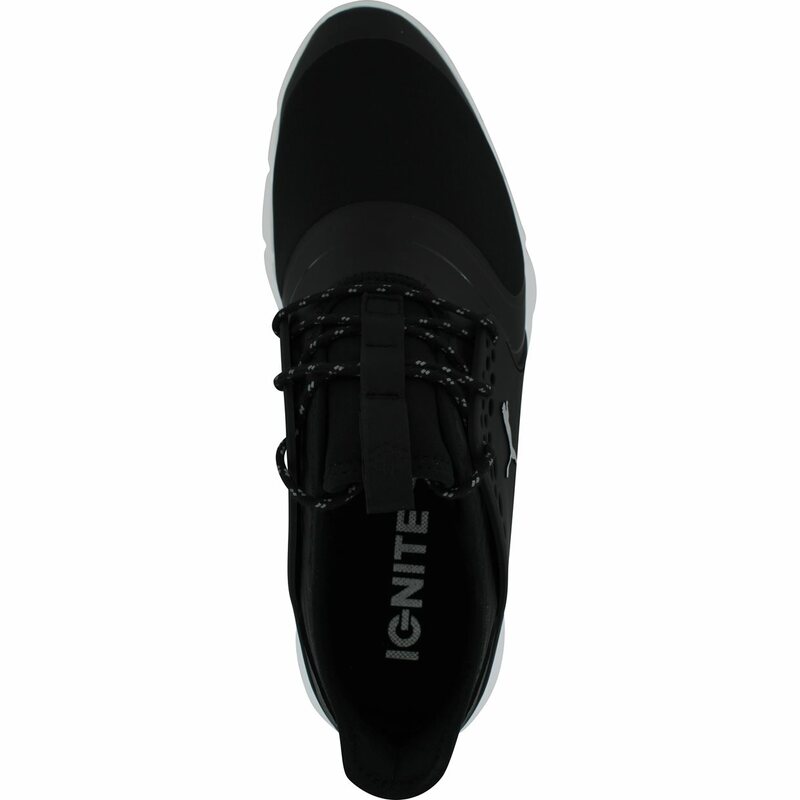 The Ignite PWRSport spikeless golf shoe also offers GripZone traction with 39 strategically placed hexagons and 24 chevron shaped lugs that provide multi-directional traction. 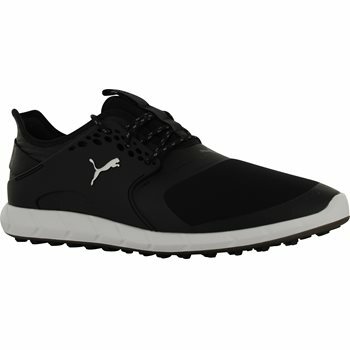 I can not be happier with purchasing these shoes. They do run a little bit big so I would suggest going a half size down from your normal shoe size. They are lightweight, but are super comfortable. 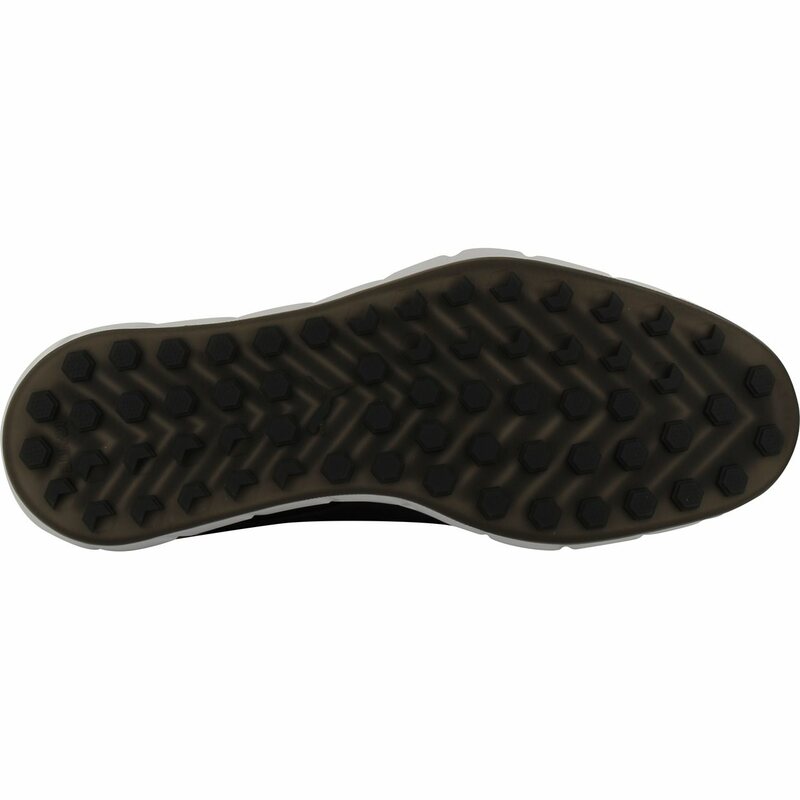 The material towards the toe is a stretchy cloth type material, which is great in terms of fit, but not so much in terms of being water resistant. Steer clear of any wet spots on the course. All in all, a great shoe for an even better value.